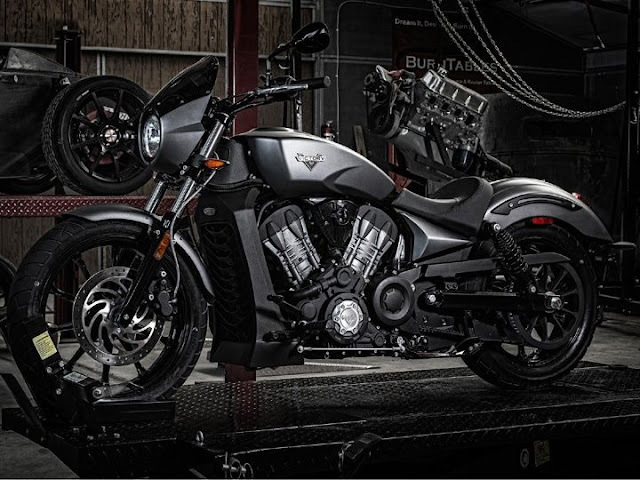 Victory motorcycles unveiled the new Octane cruiser motorcycle. 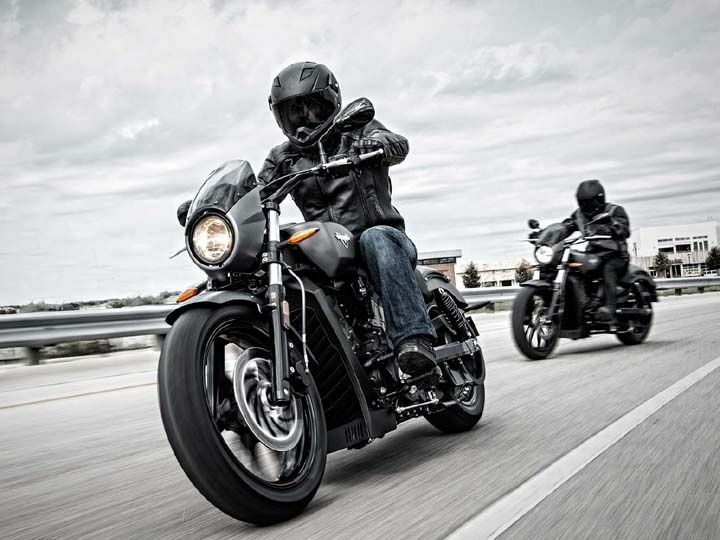 The Victory Octane according to the American bikemaker is a modern American muscle bike. Powering the motorcycle is a 1,200cc V-twin motor churning out 105PS of power at 8,000rpm while 99Nm of peak torque arrives at 8,000rpm. According to Victory, the Octane is the most powerful production motorcycle ever built. The engine is mated to a six-speed gearbox with a cable-actuated clutch, and belt final drive. The powerplant is the production version of the motor used in the Project 156 Pikes Peak concept. The engine acts as a stressed member and is connected to front and rear cast aluminium frame sections. Upfront the Victory Octane employs a telescopic front fork suspension with 120mm travel while at the back twin-shocks that are preload adjustable and give 76mm travel have been used. The cruiser motorcycle has a lean angle of 32° while wheelbase is 1,578mm. Braking is done by twin-piston caliper and 298mm disc at front and back while ABS is standard. The Victory Octane has an uncanny resemblance to the Indian Scout and that shouldn’t come as a surprise as both the brands are owned by Polaris. But the Octane has more power and torque figures than the Indian Scout while also weighing lighter at 243kg which should make it faster than its sibling. The Victory Octane has been priced at Rs 7.2 lakh in the US market.